This post is the second part of my three post series “2 Days in Berlin”. 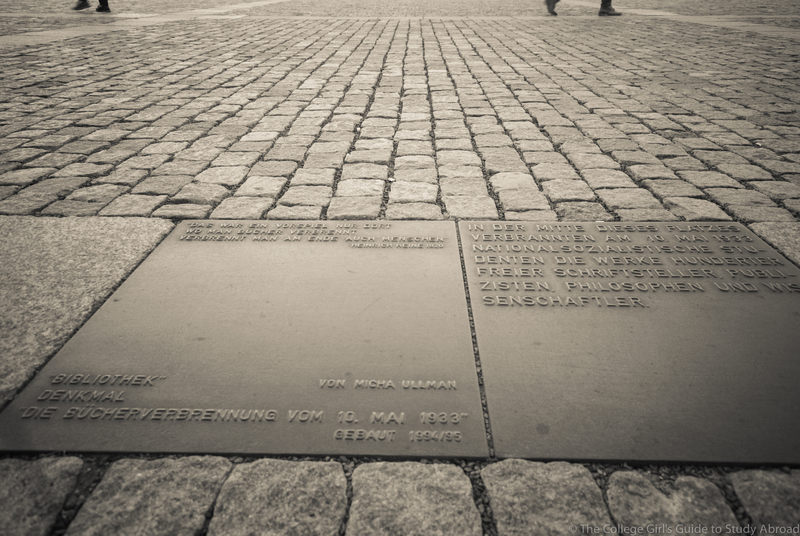 In this post I detail the afternoon of my first day in Berlin, in which I visited the Memorial to the Murdered Jews of Europe and toured this city that faces its history. While this post contains the reflections that are closest to my heart and shaped my outlook on the world, I also welcome you to check out my posts “A Stroll through Großer Tiergarten” and “The Art of Berlin: Museum Island (+Food)”. Although I knew it would be a part of the Sandeman’s tour, I wanted to visit the Memorial to the Murdered Jews of Europe on my own beforehand. Taking enough time to reflect while walking through the memorial was extremely important to me because my grandfather was a holocaust survivor and my visit happened to occur on Yom HaShoah (Holocaust Remembrance Day). The night before I left for Berlin, it occurred to me what it meant that I, an American Jew, was going on a trip to Berlin. Although Berlin has been a place of peace for decades, I do not need to explain the horrors of what the city used to represent. Yet there I stood, camera in hand, an American Jew traveling through Berlin while backpacking Europe. No matter how terrible the situation is in a country, the oppressed people’s hope for peace will never be unrealistic. A few days before my trip I had messaged a friend who grew up in Syria. He told me how beautiful his country is and how I should go see it someday. I’m not sure how, but the world needs to work together* to achieve the attainable goal of bringing peace to countries plagued by violence, and do so as quickly as possible (in case it is not obvious, this must be done for the sake of the people who are effected by the violence, NOT for the sake of tourism). After the memorial, I grabbed lunch and went to find my Sandeman’s tour group. The next few hours would lead to days of reflection. The first stop was the Brandenburg Gate. The gate was built in the late 1700s to symbolize peace, and when Napoleon invaded Berlin he sent the statue to the Louvre Museum in France. After Napoleon’s defeat, the statue was returned to Germany. To insult the French, the surrounding square was named Pariser Platz. The statue was reinstalled, although Victoria’s head no longer looks directly in front of her, but rather at something slightly towards her left – some say the French embassy. 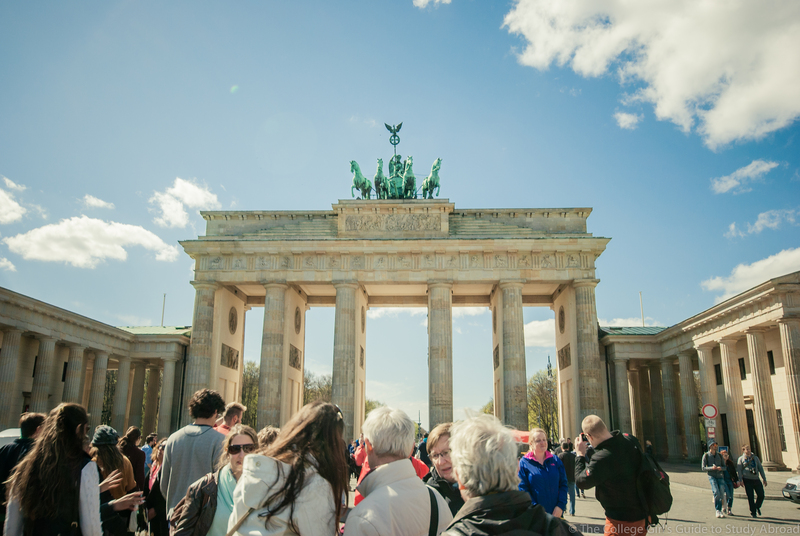 This summer during the world cup, jumbo screens were displayed at this gate, which has become synonymous with victory, and countless fans gathered to cheer on Germany. I can’t help but thinking that this incredible spirit may have given the team that extra bit of momentum needed to reach victory. The blocks look like graves on top of graves. The blocks are placed on hills that bend up and down for a more interactive experience. Our next stop was the Memorial to the Murdered Jews of Europe, which I had walked through less than an hour before. As we walked towards the memorial, I exchanged thoughts with some Israelis on my tour. Despite the fact that I had just met them, it was clear that some emotions are universal. Our tour group then headed to what our guide Mark described as “the most historic parking lot in the world” – the site of Hitler’s Former Bunker, where he and Eva Braun committed suicide after Hitler realized the Nazis had lost WWII. The bunker has now been converted into a parking lot in order to prevent the bunker from becoming a shrine for neo-Nazis. 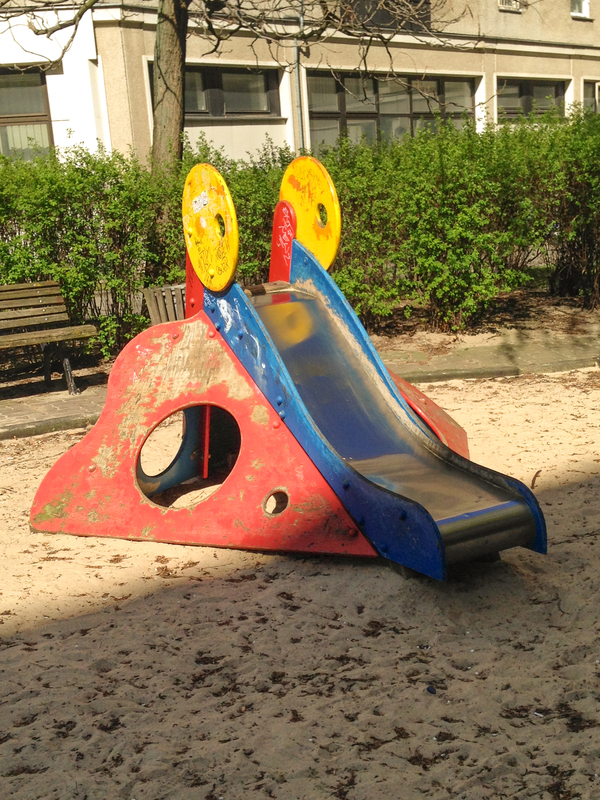 Above the place where Hitler committed suicide there is a children’s slide to remind us that good will always conquer evil. After walking past the former Nazi Aviation Headquarters, one of the few Third Reich buildings not destroyed by the Allied Power’s bombings that ended the war, we found ourselves at the Berlin Wall. After WWII, the major Allied Powers (USA, UK, France and the USSR) partitioned Germany into four parts. Although Berlin was located within the Soviet section, the capital city was divided into four in order to divide the administration of Germany equally amongst the Allied Powers. As thousands of people living in the Soviet controlled bloc began fleeing to capitalist West Berlin, the Soviets insisted on constructing the Berlin Wall to prevent the loss of talent to emigration (and a massive embarrassment to the communist party). Most of the wall has now been demolished (otherwise the eastern part of the city would still be enclosed), and it is therefore possible to stand in front of the wall with one foot in East Berlin and one foot in West Berlin. In a city that has rapidly changed between a place of great peace and unimaginable horrors, it was surreal to stand with one foot on the side where people enjoyed the life I know, and my other foot where people endured a life under a communist regime. We then continued our stroll through what felt like a time machine. The order of the sites was based on geographical proximity, but the resulting lack of chronology felt appropriate – the sheer horrors and joys of Berlin’s history transcended dates spiraled out before us and transcended a linear timeline. We passed the former SS Headquarters (the building is now the Topography of Terror museum, which addresses the atrocities of the Nazism) and Checkpoint Charlie, the most famous crossing point between East and West Berlin, before finding ourselves at Gendarmenmarkt, a square filled with the higher points of Berlin’s history. Before the 20th century, Berlin was one of the most progressive cities in Europe. Berlin was tolerant of a variety of faiths, and when the Calvinists (aka Huguenots) were forced to flee France in 1598, they found refuge in Berlin. In the early 1700s, the Französischer Dom (“French Cathedral”) was built for the Calvinists, who then constituted 25% of the German population. The Neue Kirche was constructed for the city’s German speaking population (both Lutherans and Calvinists) opposite the Französischer Dom, and therefore earned the nickname Deutscher Dom (“German Church”). While religious discrimination plagued Europe, people of different faiths peacefully worshipped along side each other in Berlin for years. The final stop on our tour was Humboldt University of Berlin, one of the top universities in Germany. On May 10, 1933, pro-Nazi students burned upwards of 20,000 books from the university’s library that contradicted Nazi ideology. Over the past few years I have met people from all over the world, some from countries that are not free. I have learned that education is so much more than the key to economic mobility – education is the oxygen of freedom. If we do not have access to information about certain ideas, we will never be able to expand and challenge our views. Freedom starts in the mind – when a regime restricts the people’s actions it restricts their lives, when a regime restricts a people’s thoughts it restricts their personhood. After seeing how rapidly Berlin changed and standing in front of the wall that delineated who was free and who subject to the oppression of communism, I cannot be sure that Berlin, or any other city, will be safe and free a decade from now. Just as peace is always possible, so is violence. The two most essential safeguards against periods of oppression are a strong democratic government structure and access to an education that will allow the populous to critically evaluate their society. [One of the countries where access to knowledge is most brutally limited is Afghanistan, where even the extremely optimistic measurements used by the CIA World Factbook estimate that less than 46% of men and 18% of women are literate – learn about the United Nation’s Girls’ Initiative’s efforts to give Afghan girls access to an education here.] To mark the horror that is burning books there are two constructions – the first is a window in to an empty underground library that nobody can access. The second is a quote from German Jewish scholar Heinrich Heine, which translates to “This was but a prelude; where they burn books, they ultimately burn people.” Heine died in 1856, nearly a hundred years before the Nazi book burnings: this quote referred to the Spanish inquisition. Had this quote gained traction within his lifetime, perhaps the Nazi book burnings would not have taken place. 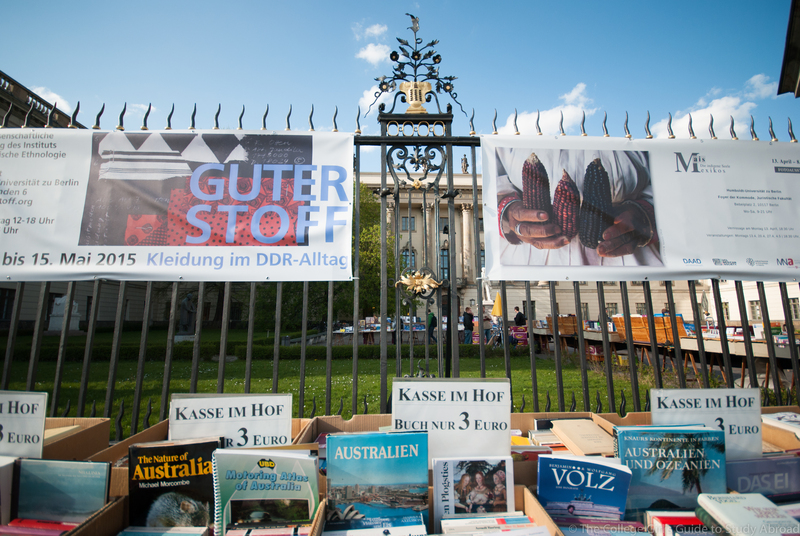 Heine’s quote is displayed with the outlook of “those who do not know history are doomed to repeat it.” Outside the university, students run a large book sale in honor of the books that were once burned outside the University’s main square. This is the tragic beauty of Berlin. In a city that does not hide its history, it is impossible to deny that where there is progressive thought there can soon be evil, and where there is evil there can soon be peace. 5:00 pm After our tour, I wandered around the city, allowing myself to reflect and take in the past few hours. 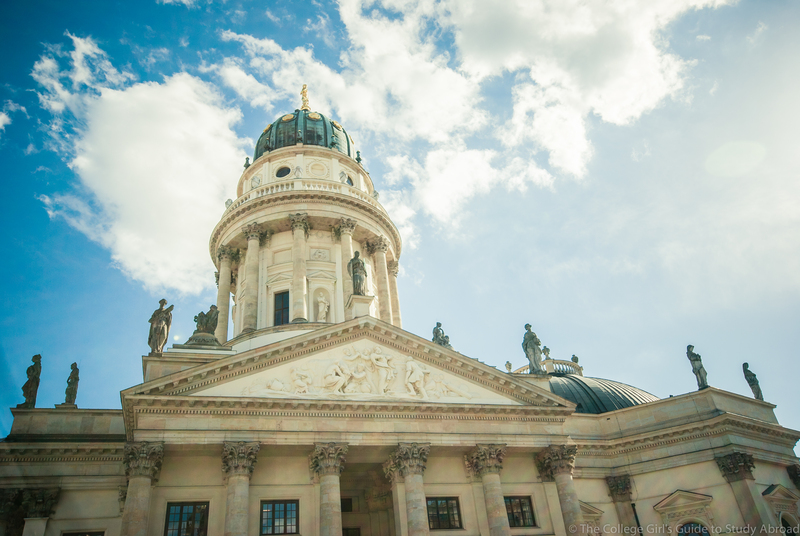 I made my way to the Berlin Cathedral and let the choir music slow the spinning of my thoughts.